You may be in two minds about hiring a removal company when you’re moving from London to Nantes. Weighing up the pros and cons and wondering if it’s really necessary. You may be thinking about the money you could save by doing it all by yourself. One factor you should bear in mind however is that with our removals firm, it doesn’t cost as much as you think to hire an international removals service to Nantes. Moving Service have become known over the years for being able to deliver a consistently excellent removals service for all house movers yet still be able to deliver consistently low prices. You can find out just how low by calling 020 8746 4402. We’ll give you a free, personalised quote which will show you, that on price alone, we’re the best removals company to Nantes you can hire. Our cheaper prices however don’t mean you get a second rate service. Our first-rate reputation is built upon being an all-round home removals service which means we’re a lot more than just a furniture mover to Nantes for you. We take care of your every need when moving abroad. From our man with a van to a full removal team. When it comes to house removals, office removals or a business relocation, no other removal firm gives you more. Our workforce from the office and backroom staff to the frontline removal men are dedicated to making your relocation to Nantes the best removal experience you could wish for. Our staff are chosen for their ability to have a professional attitude as well as having a courteous manner which we believe is so important nowadays. So while our very helpful and knowledgeable office staff can help you with queries you have about moving home to Nantes, our removal men will handle your household contents with the care and expertise you would expect from a reputable removals firm such as us. All of which means you arrive in France ready to begin your new life in Nantes in a great frame of mind. 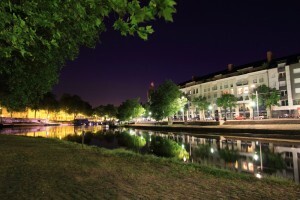 Nantes itself is the largest city in north-west France with a population of approximately 285,000 which includes a significant student population. It’s the sixth largest city in France. 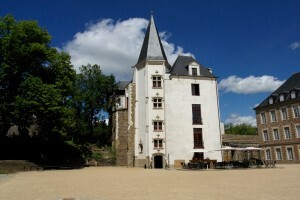 Situated on the banks of the Loire, Nantes was for a long-time the capital of Brittany. Nantes was also France’s most important port whilst also being an important industrial city. Shipbuilding has also been a major part of the city’s history. Today Nantes is a thriving, bustling city noted for its culture and pleasant surroundings. Nantes is connected by the TGV to many other major cities in France including Paris, Marseille and Lille. We can not only get you to Nantes in a great frame of mind but help you with everything else to do with house removals. We can supply you with removal accessories for instance. Our previous satisfied customers have told us how convenient this was. Another removals service we have which is highly praised is our packing and unpacking service. Our professional packers will pack your household belongings in an expert manner which also saves you valuable time. These are just some of the ways that hiring Moving Service can help you when you’re moving from London to Nantes. When it comes to international removal firms we’re reliable, professional and trustworthy. Added to our cheap prices, there really is no reason not to hire anyone else and every reason to call us now on 020 8746 4402. With our free quote, you can find out for yourself why we’re the removal company you’ve been hoping to find.